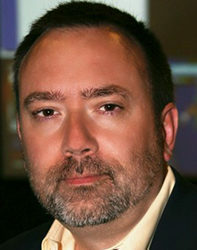 George Heinrichs is the CEO of Ande and the former president and cofounder of Intrado Inc., a global provider of public safety communications services. A recognized expert in emergency services, Mr. Heinrichs has played a key role in the evolution of the nation’s emergency communications network for more than 30 years. His company is proudly dedicated to supporting the men and women of public safety in their quest to save lives. Mr. Heinrichs’ background includes service in both Law Enforcement and Emergency Medical Services as a field responder. After serving 10 years as a law enforcement officer, Mr. Heinrichs left the department at the rank of Lieutenant. During his public safety tenure he trained in many areas including the FBI’s Hostage Negotiation and Tactics program, White Collar Crime Investigation and other specialized programs as well as achieving State of Colorado Certification as a Peace Officer and as an Instructor for law enforcement certification. He also served for seven years as the Chairman of the Colorado Crime Information Center Working Committee establishing policy and process for comprehensive public safety automation in pursuit of wanted criminals and stolen property. Mr. Heinrichs was elected as a representative to the FBI’s NCIC Advisory Policy Board – Western Region. For his contributions to public safety and communications, Mr. Heinrichs has received numerous awards, including the National Emergency Number Association (NENA) William H. Stanton National 9-1-1 Service Award, the NENA President’s Award, the Denver Telecom Professionals Executive of the Year, the Ernst & Young Entrepreneur of the Year Award for Technology, and was recognized as the 2009 Person of the Year by the International Association of Chiefs of Police (IACP). In 2011 Mr. Heinrichs received the NG9-1-1 Institute’s Industry Professional Award. Mr. Heinrichs is a member of the National Emergency Number Association, the Association of Public-Safety Communications Officials International, the National Sheriffs’ Association and the Association of Computing Machinery. He has served on the Board of Directors of the Intelligent Transportation Society of America, and the Cellular Telecommunications and Internet Association. In 2007, he helped to found the 9-1-1 Industry Alliance, serving as its chairman until 2009. Mr. Heinrichs is a Fellow in the Radio Club of America and serves on the Board of the IACP Foundation. He continues to be an active and vigorous participant in the formation of 9-1-1 public policy and has served as an expert witness for both the US House of Representatives and the US Senate.